Today's I'm here with something a little different! 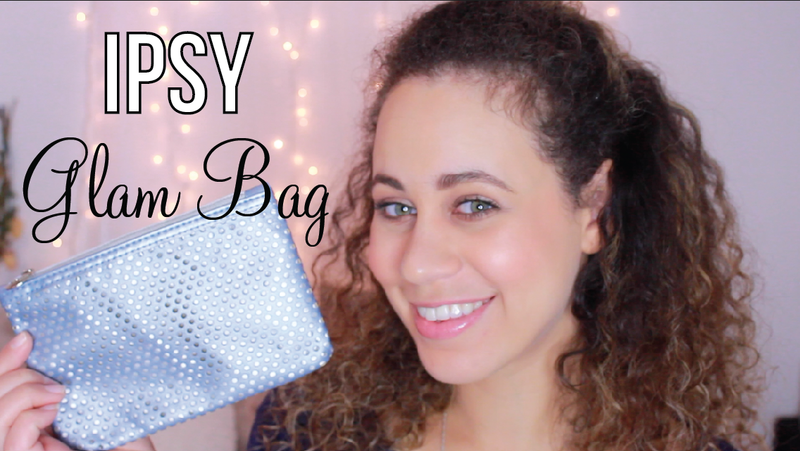 I'm going to review my first ever Ipsy Glam Bag! I was so excited to get this in the mail this month. I finally decided to hope on the glam bag train and I'm already super excited! My bag came with 5 different products. Two (I guess you can say) are full sized, the nail polish and the two masks. The perfect pink nail polish! I'm 100% getting more nail polishes from Pretty Women. The brush is amazing, which is something I look for in nail polishes. Since I don't get my nails done every week or really every month (honestly it's been since May....) and honestly I can paint my nails and have them look semi professional so the perfect brush is key! I don't think I've ever felt a soft sheet mask like this one! It didn't feel paper thin like it was going to break as I opened it up and for $1.50 and I think these were a hit!!!! My fave out of the two was the Acai Berry! ModelCo Blush in Peach Bellini (Check it out HERE) $22 for a full sized. Just checked and I have a 3.5g of this blush and the full sized one is 8g. I'm totally obsessed with this blush! It has a nice glowy effect to it as well. I think the color is perfect and the fact that is has almost like a pink highlight tone to it makes it even better! 100% recommend! The pigmentation is amazing as well! Another one...I wanted to like this so much more then I did!!!!!! The pigmentation just wasn't there and I wished it was!!! I'm going to give it another try to use some MAC Fix+ on it soon. Overall I really loved my bag even though I had a few products I didn't completely love. I'm so excited to get my next one in February and you can 100% bet I'll be doing more reviews! But for right now check out my video now! Elizzabeth Hope Blog. Powered by Blogger.